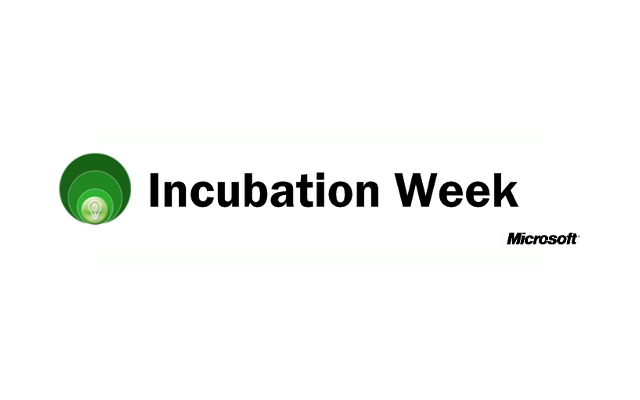 Last month in “Hatching Success with Microsoft Dynamics CRM,” the Marketing Consigliere blogged about Microsoft Incubation Week and encouraged startup companies to take advantage of the program. This week, the Marketing Consigliere was honored to be a guest of Sanjay Jain, ISV Architect Evangelist, and Dave Drach, Managing Director of the Emerging Business Team for Microsoft. As an observer for part of the day, it was very interesting to meet some of the companies participating and listen to a mid-day guest speaker. This was not your typical Washington, DC area startup event, full of VCs and entrepreneurs, and packed with the usual cast of supporters; rather it was a very exclusive program for a handful of companies that made it past Microsoft’s screening. This is a national event and there were companies from outside the region. Dan Blake of CourseMax told the class of entrepreneurs about his community of continuing professional education service providers and the decisions he had to make regarding its architecture and the path of software development. While the story of this company is still evolving, Dan underscored the benefits he derived from working in collaboration with Microsoft Dynamics CRM. And a gentleman (Chris Hopkinson?) from DubMeNow, which was blogged about in “Two Better Mousetraps?” earlier this month. Since DubMeNow wants users to not use business cards and instead text or email their contact information to another person’s address book via a mobile phone, he didn’t have a business card to give out. So the Marketing Consigliere feigns old age and can’t remember the gentleman’s name because since DubMeNow hasn’t launched its capability on Windows Mobile yet, he could not benefit from the DubMeNow service. In “Two Better Mousetraps,” the Marketing Consigliere, a technology enthusiast himself, blogged about the need to keep old fashioned business cards. And today he found another reason (besides his failing memory) to keep using business cards, and it came from Sanjay’s, which had Braille embossed upon it. Once again, first impressions count, no pun intended; a visually impaired person immediately can benefit from this when they’re not anywhere in the vicinity of a special braille printer. However, DubMeNow’s integration with Microsoft Dynamics CRM and other customer relationship management platforms is a very smart move that makes absolute business sense. So maybe it pays to have both the old way and new way. After all, techies like redundancy, don’t they? The Marketing Consigliere would like to thank Sanjay and Microsoft for allowing him to sit in on Incubation Week and admires their accomodation for the visually impaired on a simple thing like a business card. If invited back, he would definitely come to Incubation Week again and urges ambitious software startups to consider this great program.